The company JetSolutions SA was created in 2002 by two engineers, Mr. Daniel Leva and Mr. Patrick Mayor. The company currently employed twenty high qualified personnel in the powder and liquid handling domain. In terms of a sustainable future success and with the aim of enhancing our service we have accepted the take-over bid of our long term partner ILC Dover LP. 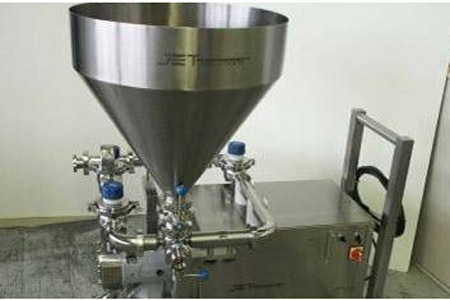 Our main customers are well established in the Pharmaceutical, the Food and the Chemical industry. Over the years, the activity field of JetSolutions was adapted to suit the market requirements. The activity fields are Powder and Liquid Mixing, Process Equipments, High Containment Systems, Turnkey Installations, After Sales Services. You can always count on a highly specialised and motivated team to assist in a solution to your challenges! For our installations and your projects we supply the complete. The mechanical parts are fabricated in workshops we especially have selected or are partially acquired on the international market. All selected components are corresponding to our strong specification and quality standard. Assembly and test are carried out in our workshop. We can supply full-automated systems with PC/PLC control, reporting and traceability. We can make the planning of the erection and the commissioning for you.